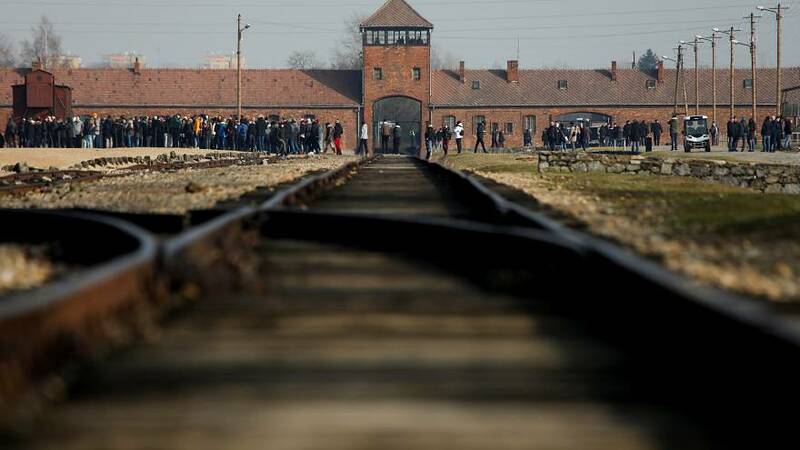 Auschwitz Memorial has told people not to take photos of themselves balancing on the railway track at the former Nazi death camp. In a Twitter post on Wednesday, the museum told visitors "respect" the memory of the site where "over 1 million people were killed" and "there are better places to learn how to walk on a balance beam than the site which symbolises deportation of hundreds of thousands to their deaths". The group later clarified that photography at the site would not be banned and pointed visitors to its Instagram account to see examples of how to commemorate victims. The post on Twitter was liked more than 6,000 times at time of writing. Social media users replied that they were shocked visitors posted such photos. What counts as appropriate behaviour in photos at holocaust memorials has been debated in the past. In 2017, a satirical writer edited selfies people had taken at the Berlin Holocaust memorial and juxtaposed them with backgrounds of the death camps.